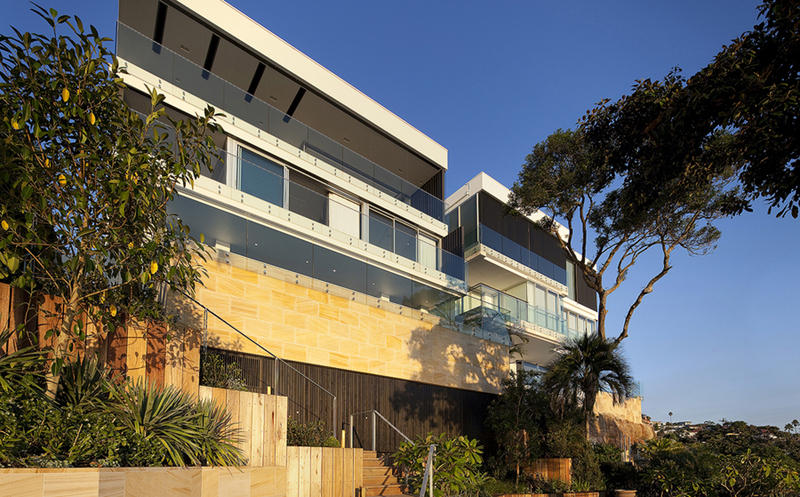 Surface Gallery has completed the supply of Bennelong Sandstone tiles to this recently developed property in Rose Bay. The developer of the property was looking for a sandstone cladding with a contemporary touch, and also to complement the surrounding landscape. The Bennelong Sandstone honed was selected in the 600x400mm size, and was laid in brick-bond format.